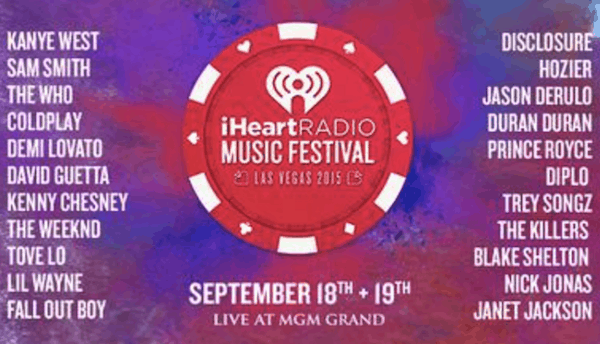 The 2015 iHeartRadio Music Festival lineup has finally been revealed and with Janet Jackson, Kanye West, Coldplay, The Who, Blake Shelton, Duran Duran and more on the list, it looks like this will be the festival to attend this year. 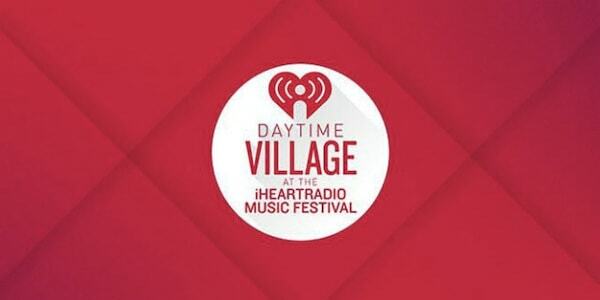 The Festival’s 5th year is coming up on September 18 and 19 at the MGM Grand Las Vegas and will feature Ryan Seacrest as well as the extremely popular Daytime Village, featuring amazing daytime acts along with the main festival. The festival has artists from all genres with Fall Out Boy, Diplo, Jason Derulo, The Killers, Disclosure, Sam Smith, Kenny Chesney and Demi Lovato along with many other huge artists all on the bill. « The San Francisco Hot Dog Eating Contest Champion	» Outside Lands 2015 Party Bus, Set Times and more!